But it worked for The Social Network! 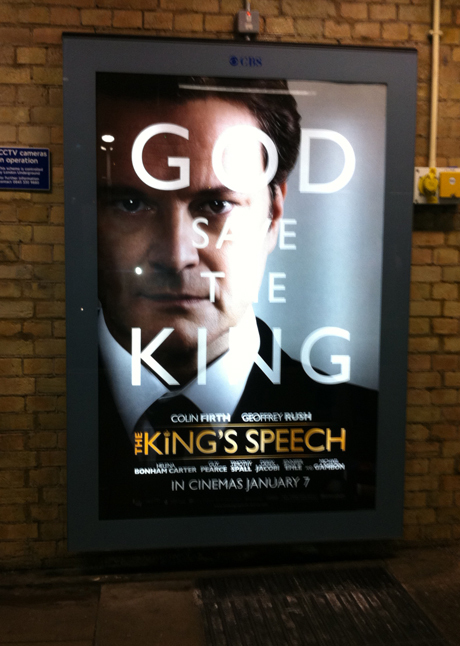 Even ignoring the blatant stylistic plagiarism, what is this tagline supposed to be telling us about The King’s Speech other than the fact that it’s literally about a King? In what way is God ‘saving’ the King? Are they implying that Geoffrey Rush’s speech therapist character is the human embodiment of a higher power? Was it God who taught him that trick with the record player?